Print your own photos or patterns onto our wide range of custom polycotton fabric. Including classics such as the Mayfair herringbone weave and more modern materials like the peached poly sheeting. 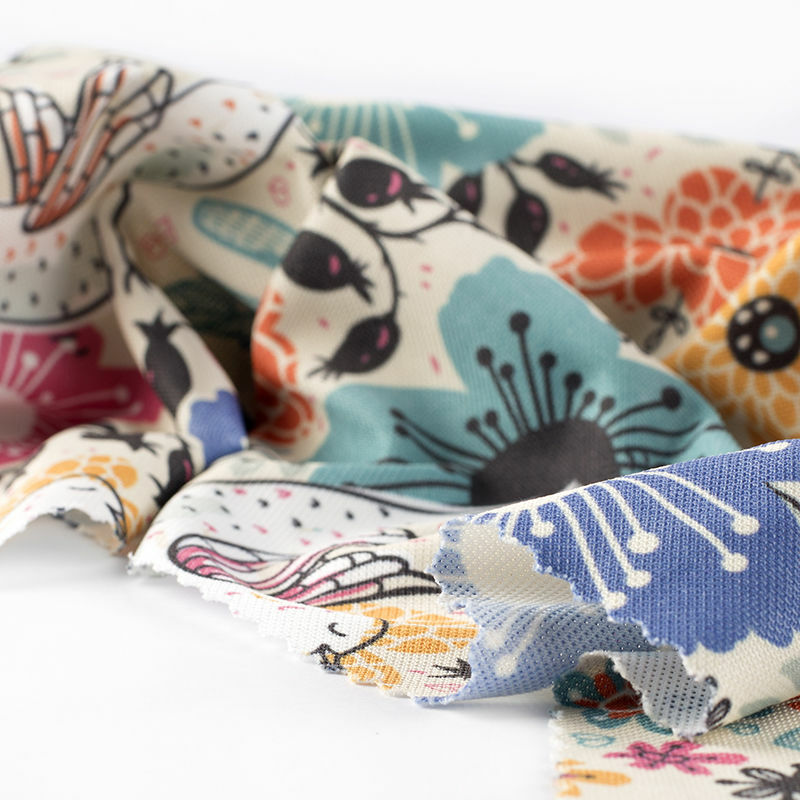 Whether you're looking to make your own clothes or enhance a craft project with bespoke patterns, print your own polycotton fabric and discover a whole new world of opportunity. Working with polycotton is so easy, and there's a plethora of things you can make. We use a specialist printing process that fuses the inks deep into the fibres, resulting in a clear, vibrant print. Polycotton materials have the strength and durability of a polyester with the softness of natural cotton. Each of these fabrics has their own unique texture, but they're perfect for things like upholstery, crafts, furnishings and dressmaking. Your photos or designs are impregnated into the fabric, ensuring they last a lifetime. Choose from a wide range of polycotton fabrics for your dressmaking or craft projects. Thick canvas with a tight weave. Subtle smooth face, ideal for wall art, upholstery. Soft Peached surface, Matt, Slightly Transparent, Woven, Light but strong cotton touch. Use: bedding, pillows, sheets. Soft, Matt, Opaque, Woven, Poly. Half Panama and durable weave. Use: table cloths, shopping bags. Soft, Matt, Slight Transparency. Pique knit. Water absorbent microfibre filament textile. Slightly open weave with course back. Soft, Matt, Opaque, Woven, Poly. 50% Poly and 50% cotton mix creating unique desaturated print. Soft, Matt, Woven, Herringbone weave. Cotton feel. Medium weight. Some transparency. Use: soft furnishing, craft projects. Real cotton poplin with dye sub top layer creating cotton back and poly face for best printing. Real Cotton Lawn with dye sub layer for the best print. 73% cotton / 27% poly by weight. Soft, Matt, Opaque, Woven. Cotton twill look. Use: coats, artist canvas, soft furnishing, craft projects. As with my previous orders, I am very pleased with the quality and fast service I received. Particularly enjoy the excellent and easy to use website. A great product of high quality, I had 3 photo's of my dog and wording printed onto thick fabric, was delivered promptly, great value and a fantastic company to deal with, many thanks. Great quality, duchess satin. Fast shipping to Sweden which exceeded my expectations! Will be buying more of this. Thanks to the polyester fibres, caring for your fabric should be straightforward. On the whole we recommend machine washing at 30°c, however, please refer to your specific fabric's care instructions. Due to the delicate nature of the Mulmul Soft Muslin fabric, some pulls are to be expected and this is not out of the ordinary. What Can I Make My Polycotton Fabric? The opportunities are almost endless. Use the breathable peached poly sheeting to make bespoke bedding such as pillowcases, sheets and duvet covers. The soft, smooth face feels lovely against the skin. The Trafalgar twill is perfectly suited to making jackets or coats, whilst the mulmul muslin with its open weave is better for lightweight scarves, dresses and blouses. 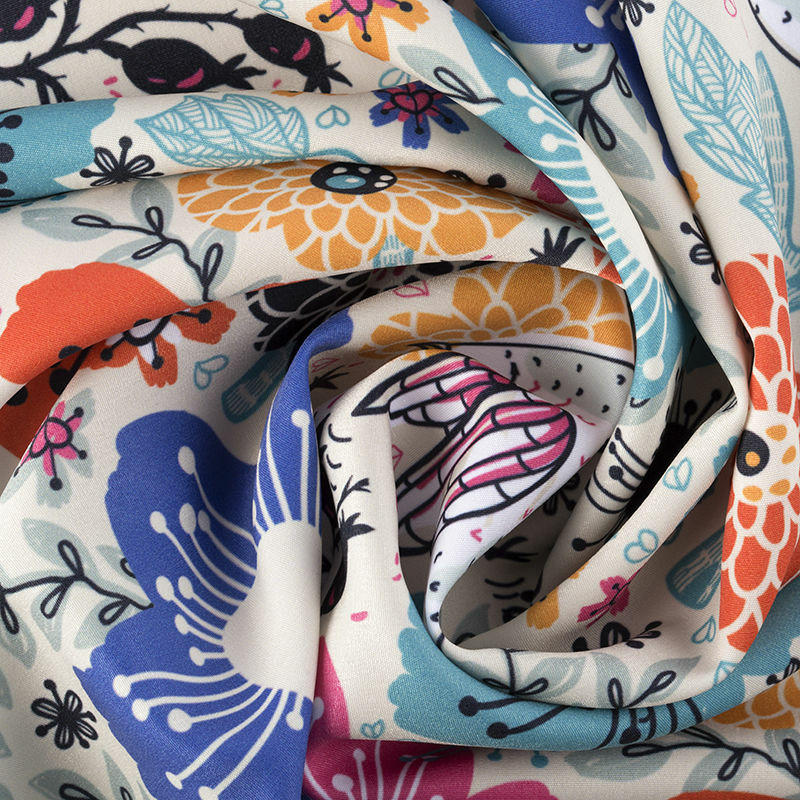 Polycotton fabrics are so varied and different in nature, but all produce wonderful, vibrant prints to show off your photos and patterns perfectly. 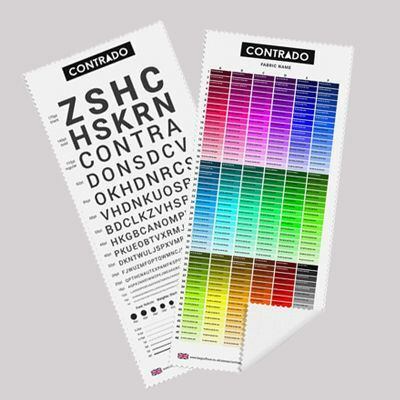 You choose your own dimensions for polycotton printing and there's no minimum order, allowing you to order just the right amount of custom polycotton fabric you need for your project. We print your designs directly onto the surface, bonding the ink deep into the fibres to create an everlasting print. Our textile experts hand cut your fabric to size, finishing the edges to your specifications.